TKCP works to advance scientific knowledge of Papua New Guinea's wildlife and rainforest habitat, so that the YUS Conservation Area can be managed in an ecologically sound and sustainable manner. Having studied wild Matschie’s tree kangaroos in YUS since 1996, we continually seek to gain a greater understanding of the species we are trying to protect, and assess the effectiveness of our conservation efforts. The Tree Kangaroo Conservation Program continues to study the dietary needs, behavior, and habitat use of Matschie’s tree kangaroos at multiple elevations throughout their distributional range of 1,000 to 3,500 meters. In collaboration with the National Geographic Society, TKCP has conducted ground-breaking research on tree kangaroo behavior through the use of National Geographic Crittercams ©. Living high in the dense cloud forest canopy, tree kangaroos are elusive and extremely challenging to observe from the ground. 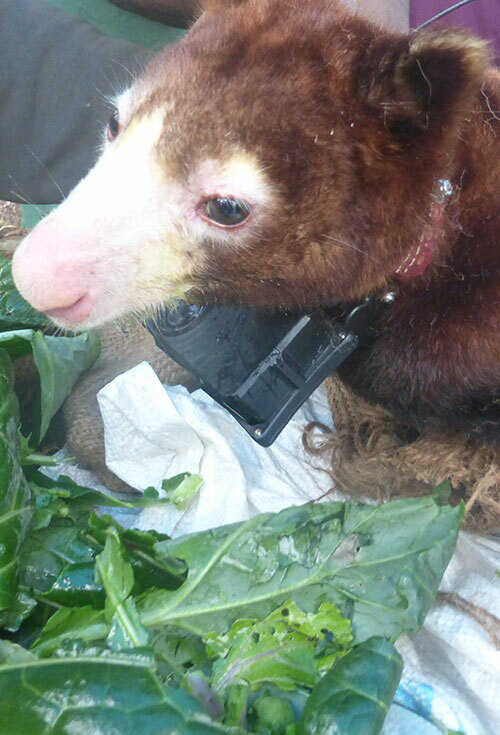 Crittercams are attached to the tree kangaroo using a small collar, enabling the animal to film its behavior over the course of a week or more. This research will inform decisions regarding the ecological composition and size of the YUS Conservation Area in order to meet the needs of the species. Building partnerships for collaborative research is vital to raising the profile of the YUS Conservation Area and increasing support for the protection of habitats. 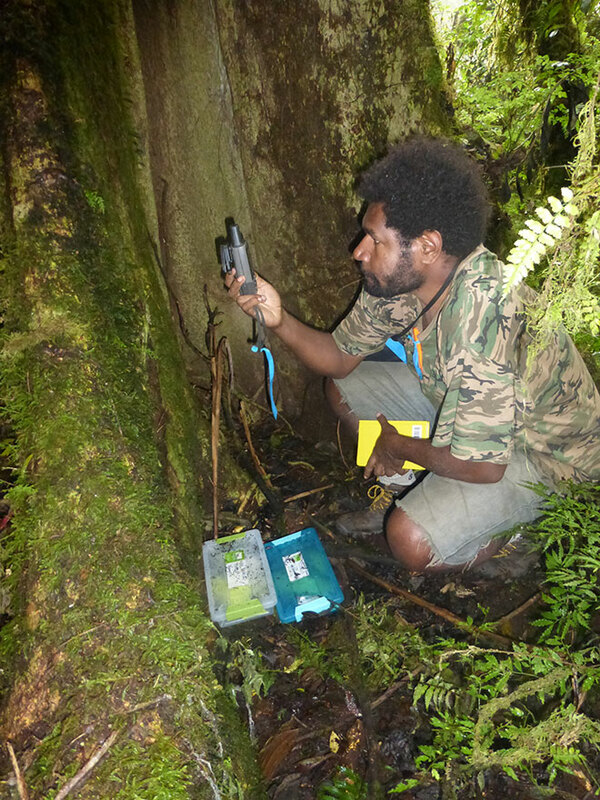 The YUS Conservation Area has become a living laboratory for research in PNG. It contains an elevational transect which is excellent for conducting research on an elevational scale. 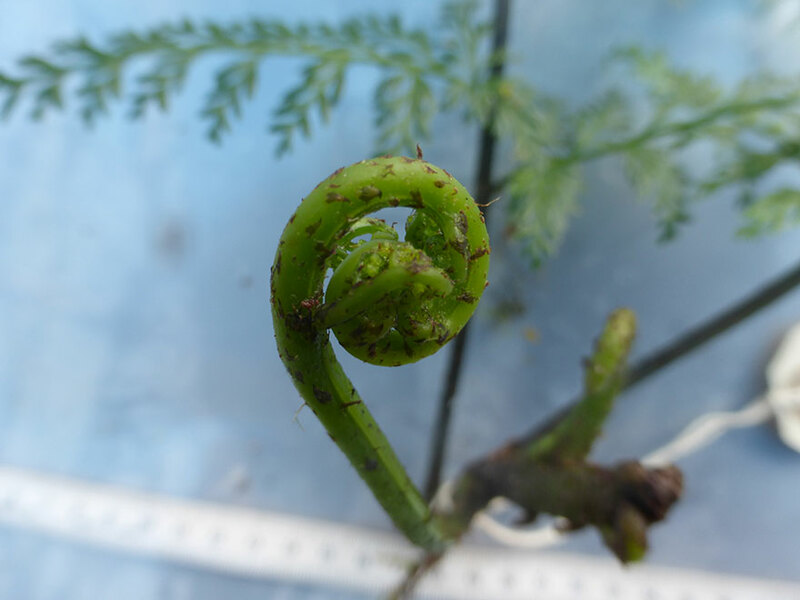 TKCP is always seeking opportunities to connect with researchers and scientists to investigate questions across the YUS landscape. TKCP and the YUS Conservation Organization also facilitate outside scientists to conduct independent research in YUS. If you are interested in conducting field research in YUS, please click here for more information. By attaining a better understanding of the species we are trying to protect, we can better manage the YUS Conservation Area to meet the needs of those species. Zoological institutions throughout the globe are working together for the conservation of tree kangaroos. Through the World Association of Zoos and Aquariums (WAZA) and its affiliate zoological associations, a network of tree kangaroo specialists meet on an ongoing basis to collaborate on research, management, captive breeding, and conservation initiatives. By bringing together experts involved in both in situ (on-site) and ex situ (off-site) conservation, the international tree kangaroo partnership network promotes greater integration and a more holistic approach to protecting tree kangaroo species. The network provides a valuable platform for sharing knowledge and research findings, coordinating the global captive breeding program, and for identifying research priorities to enhance both captive management and wildlife conservation. The Tree Kangaroo Conservation Program is the designated field program for the Association of Zoos and Aquariums (AZA) Tree Kangaroo Species Survival Plan (TK-SSP). Species Survival Plan programs place a focus on animals that are in danger of going extinct in the wild, using captive breeding as one approach to help the species survive and to link AZA institutions to field conservation work. The programs help to maintain healthy and genetically diverse animal populations within the zoo community, with North American zoos and aquariums focusing on the Matschie’s tree kangaroo. AZA TK-SSP institutions including Woodland Park Zoo are leading the way in breeding Matschie’s tree kangaroos to increase the number and genetic diversity of tree kangaroos in captivity. Research that is done in captivity can help the research done in the field by TKCP and TKCP provides information from the field to the AZA TK-SSP. For more information about our work on Applying Our Research, refer to the YUS Landscape Plan or our Annual Reports.